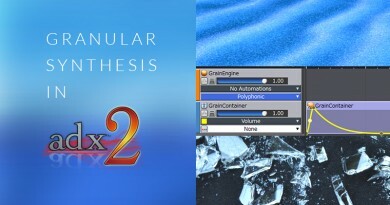 As a sound designer working in AtomCraft, ADX2’s authoring tool, your main task is to create new Cues that the programming team will trigger from the game. We all know that the production cycle in the game industry can be quite demanding so it makes sense that you would like to make that step as fast as possible. In this month post, we show a couple of techniques to speed up that process. AtomCraft offers a nice feature in the settings that allows you to define your own default parameters for a few common parameters of the Cues. To access it, select the “Properties” command in the “Tool” menu. In the tree view on the left of the “Properties” window that appears, select “Default Value”. A list of Cue, Track, and Waveform region parameters is displayed, foe which you can specify the default value. 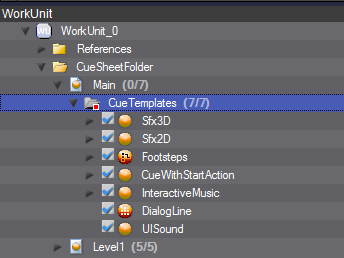 For example, if you set the “Cue Limits” parameter to 5, each time you create a new Cue, its Cue limits will be set to 5 instead of the usual default value of 1. This is especially helpful when you are always working on the same type of sound effects. If you design different types of Cues (e.g. 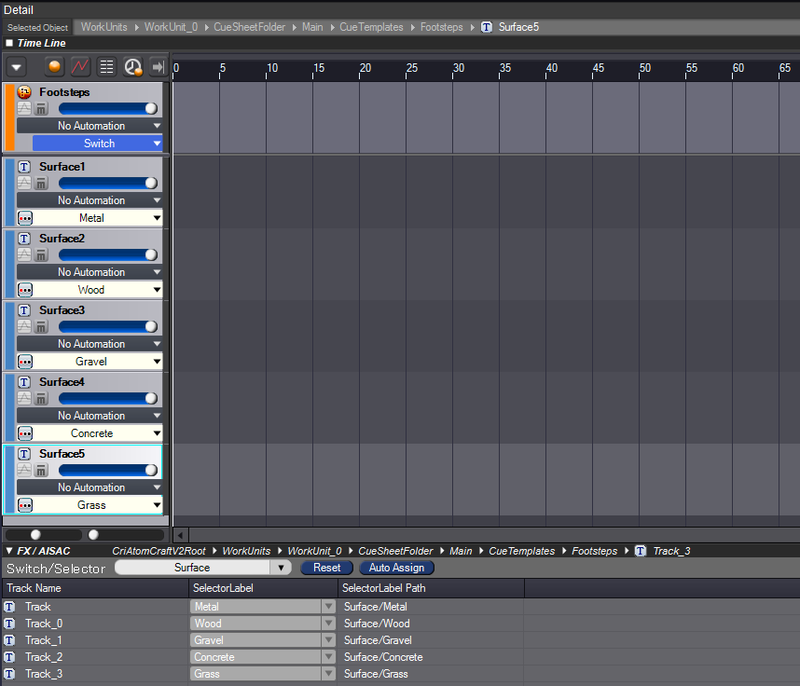 for 2D sound effects, dialog lines etc.) but still want to speed up their creation process, you can make several presets with different default values for each type of Cue. 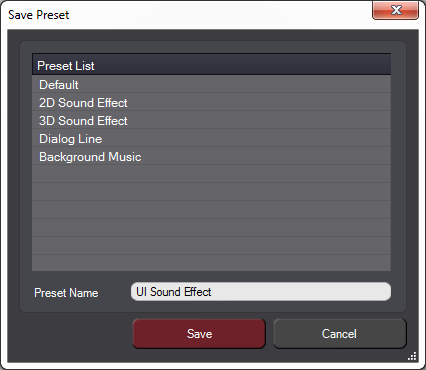 The combo box located at the top of the list of parameters allows you to select the right preset. To make a new preset, edit the parameters and press on the button at the left of the combo box. 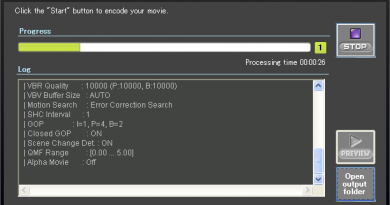 In all cases, don’t forget to press on the blue “Apply“ button after editing the default parameters or creating a new presets, otherwise these changes will not be taken into account the next time you create a Cue. Another method consists in creating and editing a few examples of Cues that are commonly used in your project and then using them as templates to create new Cues. It is especially useful if some of the parameters you want to set are not available in the Default Value section of the Properties window described above. 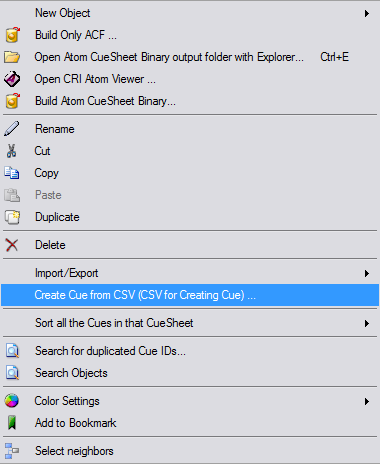 Once you have created your Cue templates, you may want to put them in a private Cue folder so that they will stay hidden from the programmers, or even in a totally different CueSheet that you will not export towards the game. 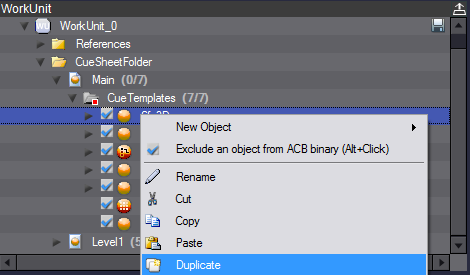 Then you can right-click on a Cue template, and in the context menu that appears select the Duplicate function to create a copy of that Cue. 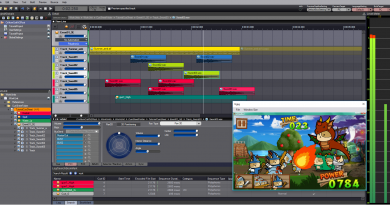 You can then drag and drop the new Cue wherever it is needed in the project and further edit it. This allows you to prepare more specific Cue templates. For example, if you have many types of characters and creatures walking on a variety of surfaces, you could prepare a Switch Cue template that already has a track prepared for each surface, associated to the right Selector Label. Then when you add footsteps for a new character you just need to duplicate the Cue and drop the right sample files on the tracks. It is sometimes easier and quicker to edit many values directly in an Excel Sheet, where you can type fast, copy / paste at will, and sort data. AtomCraft allows you to import Cues from a CSV file. Describing exactly the CSV’s requirements goes beyond the scope of this post, so please refer to the AtomCraft documentation for more details. The import command itself can be found in the context menu of the Work Unit tree. 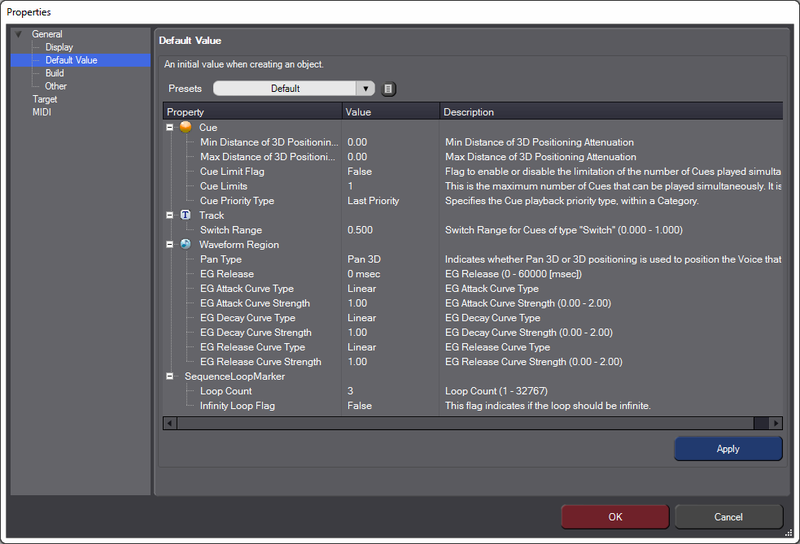 Finally, if you want to create a lot similar Cues but all the default parameters cannot be specified in the Properties window, you can simply create them and use multi-editing to adjust all their parameters simultaneously. Select the Cues whose parameter you want to modify by using Ctrl + click (selection of individual Cues) or Shift + click (selection of a range of Cues). Then, instead of double-clicking on a parameter to enter a new value, click on it and move your mouse vertically. The values of that parameter will increase / decrease from their initial values for all the selected Cues. That’s it for this post about the various ways of quickly creating Cues. What about you? 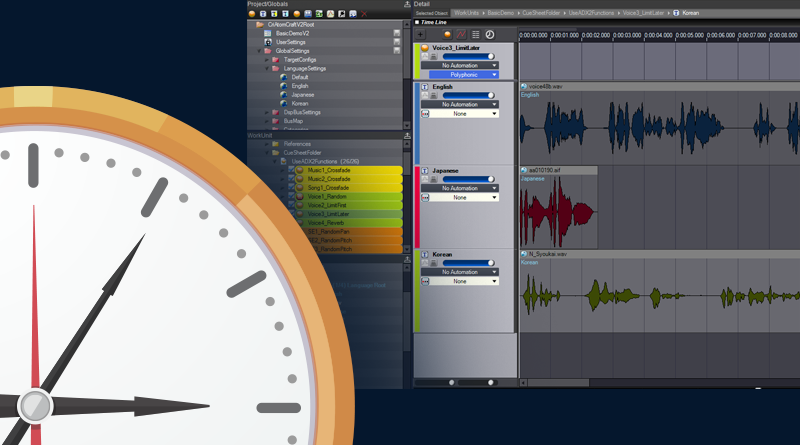 What combination of AtomCraft functions are you using to implement interactive audio faster? Let us know here!